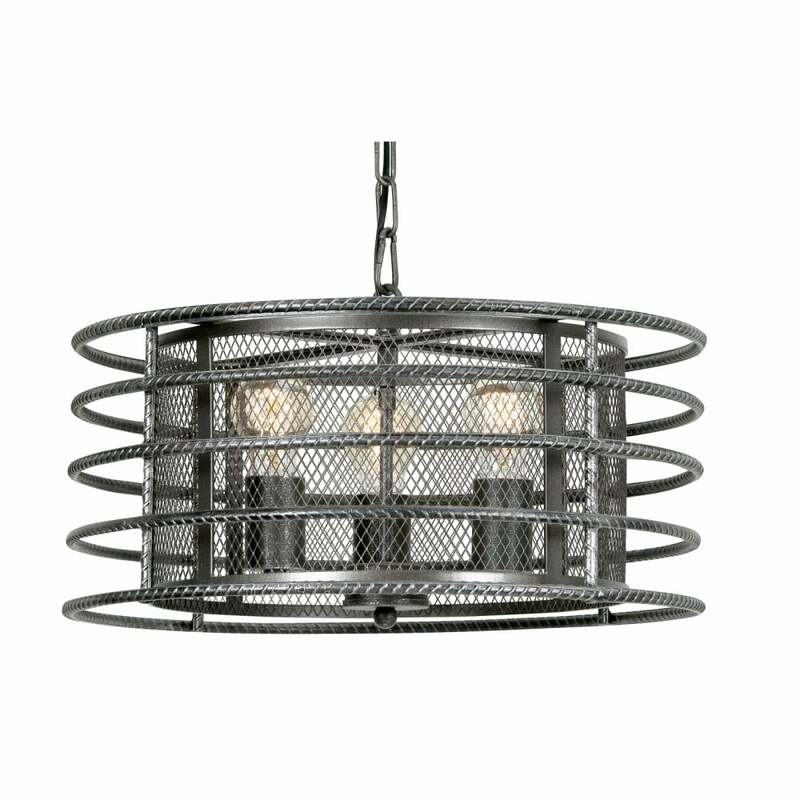 Oaks Lighting Horten 3 light ceiling pendant features a large drum shaped metal grill shade in brushed silver black finish with outer ring casing. The product code is 8801/3 BS. This urban chic design looks great hung over a kitchen breakfast bar or dining table adding an industrial look to any modern decor within your home. The Horten range includes a single light pendant and 4 light island pendant which can be viewed on our website.